Samsung's new M series smartphones are supposed to finally launch later this month. In the meantime, more and more details are leaking out. Today we get a couple of images that seem to be part of the upcoming M20's manual. 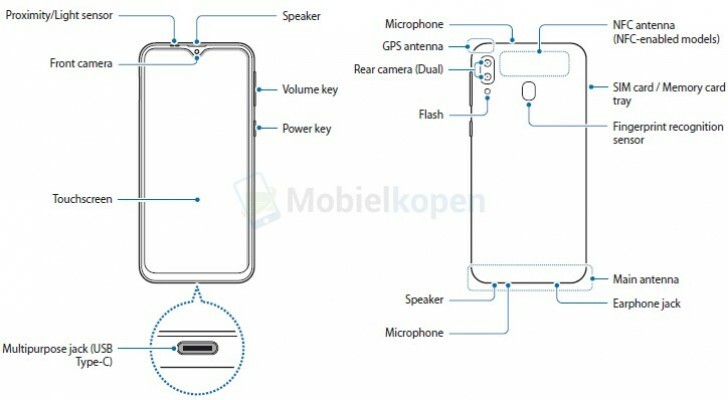 They show us that water drop notch (for Samsung's Infinity-V display), as well as the fact that the headphone jack is in - nestled at the bottom near the USB-C port. The Galaxy M20 has a dual rear camera system, as well as a fingerprint scanner in its vicinity. The volume and power keys are on the right. The rear cameras are a 13 MP unit with f/1.9 aperture and 1.12μm pixels, as well as a secondary 5 MP shooter for depth information. Powering the device is Samsung's Exynos 7885 SoC, aided by 3GB of RAM and 32 or 64GB of storage. It runs Android 8.1 Oreo. 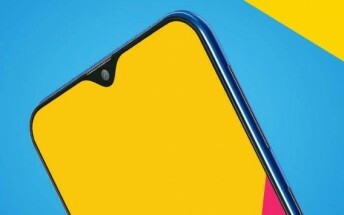 The entire Galaxy M series is expected to launch in India first, where it will be exclusive to Amazon.